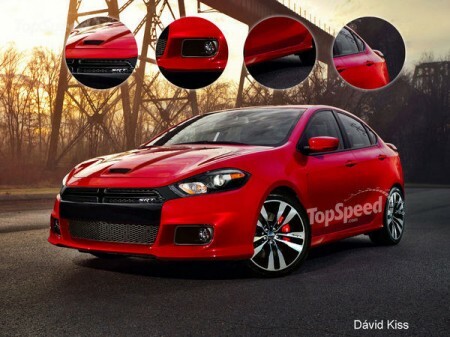 The American automaker Dodge at the recent Auto Show in Detroit, introduced the world to model Dart, and then immediately began circulating rumors about the appearance of a more powerful model called the SRT4. 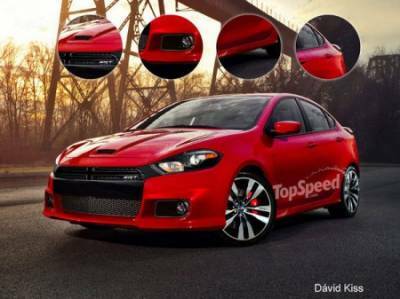 Coming vehicle Dart SRT4 should appear exactly to the lineup in 2014 to assume the role of the opponent's car, as Ford Focus ST. Like the standard Dart, SRT4 many borrow the car Alfa Romeo Giulietta. But do not expect the same 1.7-liter four-cylinder turbo engine output of 230 horsepower, as its direct competitor - Ford Focus ST - under the hood has a 247-horsepower engine. But this only means that the next car Dart SRT4 gets a turbocharged version of the two liter engine producing 285 horsepower. In addition, the car gets a more aggressive design that will be reflected on the hood with the air intake, rear spoiler and large disks.